When the metal scene in a country becomes somewhat tainted by many bands that wander among Thrash and Death metal, it is highly appreciated that there is a break with a touch of freshness and power mixed into one band. SACRAMENTO has won the role of innate and committed manner, giving new life and running a music that's not done very often. Aside from being another "Female fronted band", SACRAMENTO spares more resources to compose music based on a clear concept, embracing topics making the lyrics fit perfectly with aggressive, powerfull and blasting riffs. Formed in 2009, main members worked quickly to carry out their self-titled debut EP, from which it's extracted the first single and video called "Fallecer", which did nothing else but to position the band as an exciting new project within the chilean rock, leading quickly to rapid events such as opening for Theatre Of Tragedy in their "Farewell tour" 2010, and many appearances in the mainstream media. In June 2010, the band enters the studio again, this time to record their debut album with songs composed in the same vein of its predecessor EP. From this new work, a first single appears: "Purple", which quickly captivated fans, being contacted by people from Europe, USA and Latin America, and also by many producers inviting SACRAMENTO to participate in various compilations with this new song. 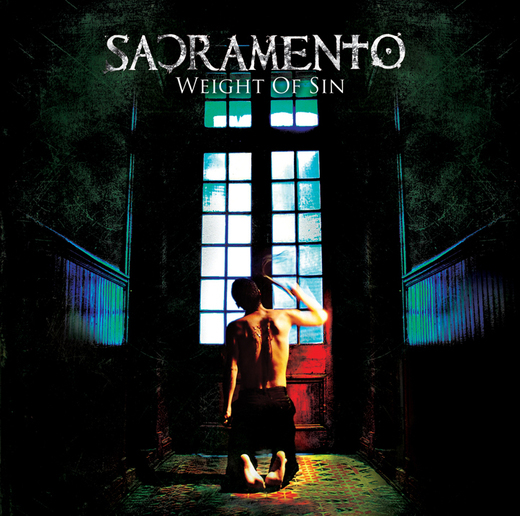 During June of 2011, SACRAMENTO released its first album called "Weight Of Sin", containing ten songs, plus the video of the song "Fallecer"
So far, the band prepares the shooting of their upcoming new video for the song “Purple” and writes new material for the new album to be recorded during 2013.